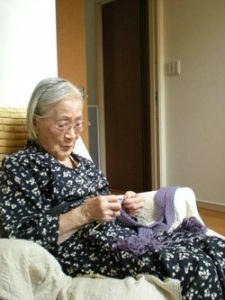 I grew up watching my grandmother knitting jumpers, and it forms an abiding scenery for my life. Knitting demostrates the creative possibility of line forms. Various garments and intricate patterns are made of only a single line of wool yarn. This sentiment and admiration led me to the idea of ‘knitting’ slender line of glass.